and improving efficiency of services. Leaders have been asked to identify the key priorities for their local area to meet these challenges and deliver financial balance. While the guidance focuses mainly on NHS services, STPs must also cover better integration with council services. You can find out more information about STPs in general here (Kings Fund website). Kings Fund have also published a review of all 44 plans which will give you and overview of the themes across England, click here to read. So what is happening in Croydon? Croydon is part of the South West London NHS which is a consortium of Clinical Commissioning Groups in the region of which also includes Kingston upon Thames, Merton, Richmond upon Thames, Sutton and Wandsworth). They published their report in November 2016 and the consultation process is now beginning. 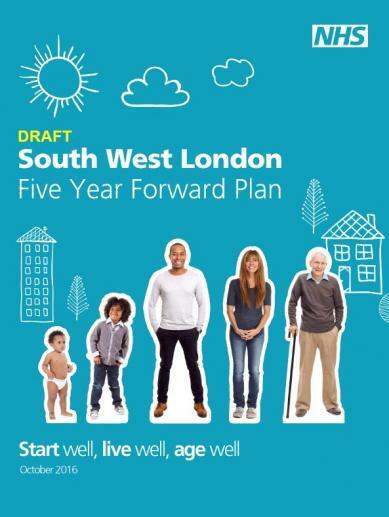 The plan for Croydon is part of the South West London Sustainability and Transformation Plan (STP) which can be viewed and downloaded from at South West London Collaborative Commissioning website where there is a lot of information about the process. Our November 2016 Open Forum was on STPs and you can read the press release and report here. On 30 November 2017, the now renamed South West London Health and Care Partnership have published their report: South West London Health and Care Partnership:One year on, which you can download below. It contains a lot of information on what they have done in the past year as well as profiling Croydon’s health and social care challenges and some ideas on how to tackle them and as well as insight of what is being planned. Give us your views on what is being proposed. We will update with more information on this page as we receive it. 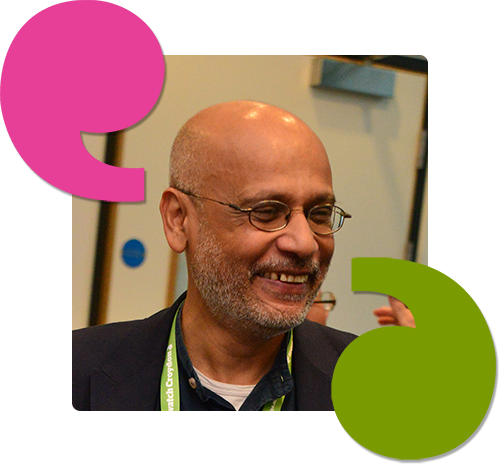 Healthwatch Croydon has produced Healthwatch Croydon and the Sustainability and Transformation Plan which shows how we plan to engage with the process. We welcome any Croydon resident to contact us if they need more information, or want to give their views on proposals. We organised a Meet the Changemakers event in March to bring residents and commissioners together so that questions about service change could be answered directly. You can see the scripts of these on the Our Reports page.